20s Glamour Me Up! Waterdrop earrings. True beauties! 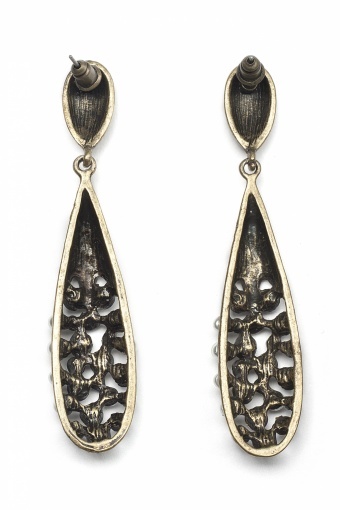 Very elegant earpendants in antique-look bronze tone. The two parts are attached seperately which allows the pendants to move nicely.Richly decorated with shiny rhinestones and little pearly beads.